A Biological Apocalypse Has Befallen Humankind! Do You Have The Shooting Skills To Make It Through The Wasteland Alive!? 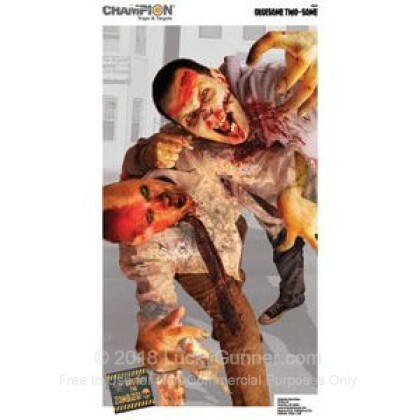 Find Out With Champion's Amazing Line of Poster Size, Photo-Realistic Targets, Featuring Scenes of Zombified Mayhem! Test you skills and prepare yourself for the impending zombie hoard! Remember, you'll need headshots if you want to escape! Includes 10 - "Gruesome Two-Some" Targets.